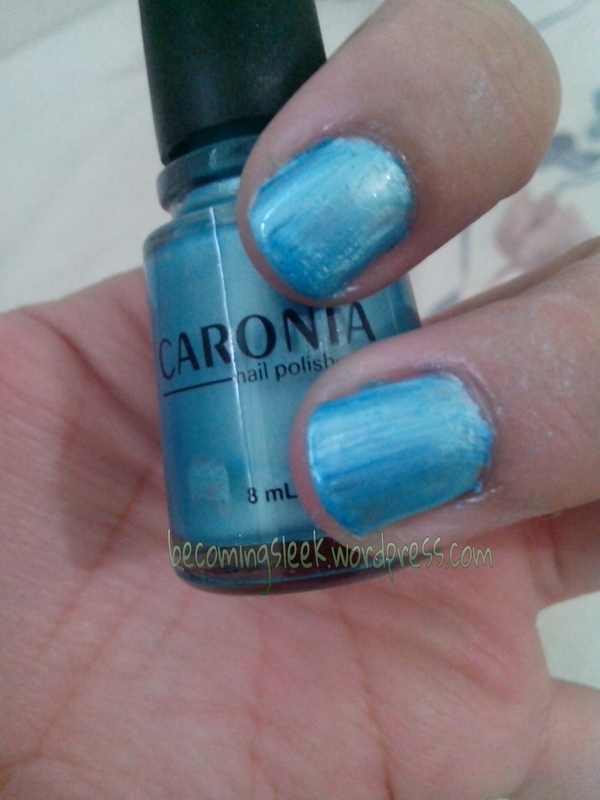 I received a happy surprise from Caronia last week, and I showed you what was inside: Caronia’s new summer collection Expressions. 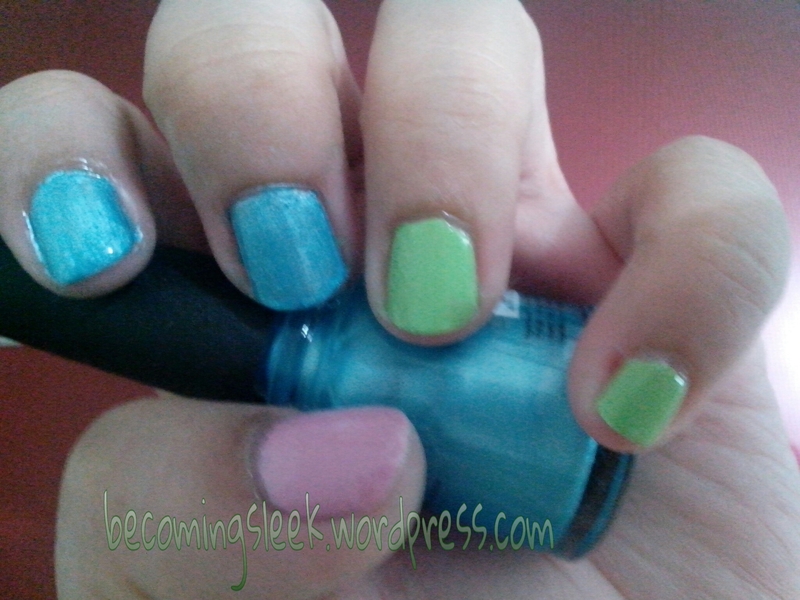 Today I want to show you the swatches of the three polishes in this collection. First is Fresh Mint. 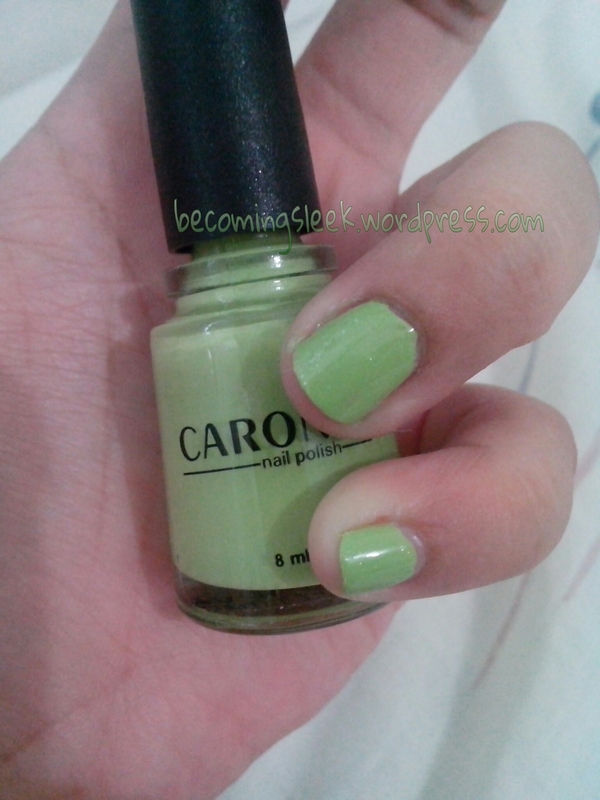 As I mentioned, it’s something between olive green and mint green, and it does show when swatched. I used two coats. Next is Blue Chill, the frosted blue. I used three coats. As you can see, it’s a bit streaky here. However! 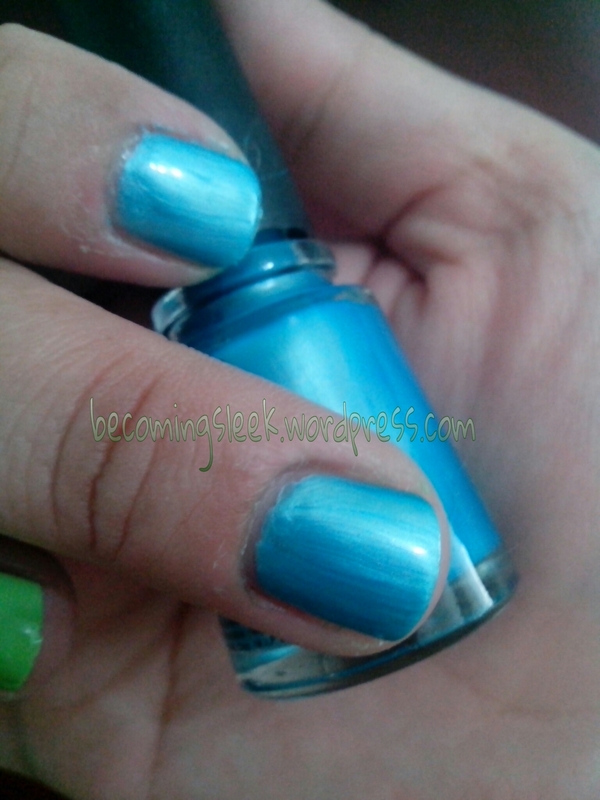 I discovered that it becomes less streaky if you did not put any top coat on it. Finally we have Rosy Glow. It’s a baby pink polish, with a pretty think and chunky formula. I used two coats. Here’s the completed swatches, which turned into a nice mani for the weekend. My right hand, with the bare Blue Chill. From your first post, I thought the blue one would be the best. It turned out to be the worst! (for me) Somehow the metallic thingy just doesn’t work for summer. Perhaps it’s more for nail art, I’m not sure. But yeah the other two colors are more summery. Thanks for visiting!